Impact drivers are necessary components of the DIYer's or homeowner's arsenal. They combine the driving force of a hammer drill with motor-assisted torque action in the chuck when it senses resistance from screws, making the driving power of these tools unparalleled. 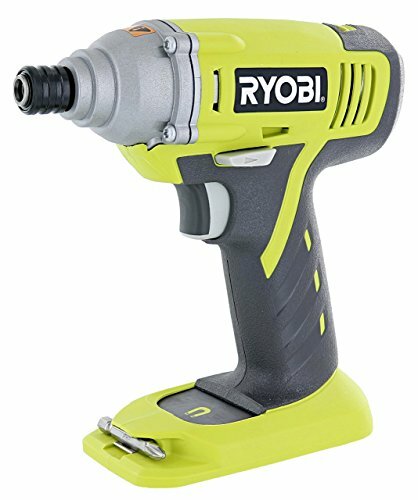 Ryobi's P234 impact driver, powered by 18 volt lithium ion batteries from Ryobi's One+ line (though compatible with the older generations of NiCad batteries) is ideal for renovation projects in or around the house where driving long fasteners is necessary. With 1,500 pounds of torque behind this dual-action motor, the P234 has enough juice to do what you need. Get in any tight spaces with its sleek, light, compact design. Hold it comfortably with the notched, rubberized grip that helps to keep the elements at bay. Its magnetic base can keep your bits and screws close in case you need to make a quick change on the job, which can be done with the quick-release collar that ejects bits as you pull it back. Ryobi has created an impact driver of prime convenience and value. Add it to your collection of One+ tools today.